Written by: Gary Ezzo, Robert Bucknam M.D. It's reality-check time! You're at least four months into your tour of parenting, and the complexities of child training are starting to multiply. As your baby is growing physically, his mind is adapting with an increasing awareness to new sights, sounds and sensations. He can now interact with his material universe with greater attentiveness. The period between 12 and 18 months places a child on a one-way bridge to the future. Infancy is a thing of the past and toddlerhood is straight ahead. A baby still? Not really, but neither is he a toddler, and that is the key to understanding this phase of growth. How will a parent meet the unfolding challenges? The answer begins with understanding the various growth transitions of the 180 days linking babyhood with toddlerhood. There are three simple questions to determine whether you should listen to this book. Do you spend HOURS trying to get your baby to sleep? Do you dread the nap and evening routine, knowing what is to come? 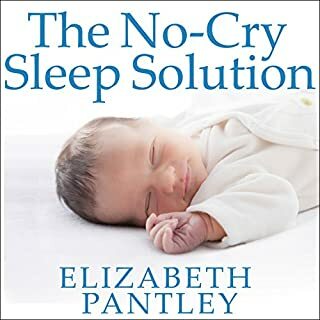 Would you like your baby to fall asleep quickly, on their own, and to sleep all night long...even if you honestly believe you've tried everything...and in as little as three days. If you answered YES to any of those questions then you need to listen to this book. 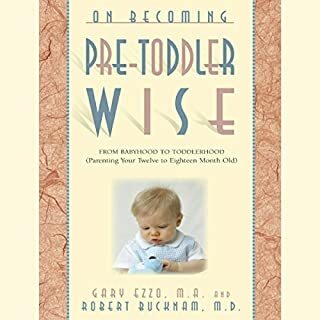 Distinguished pediatrician Dr. Robert Bucknam, MD, and coauthor Gary Ezzo are two of the world's leading experts on infant management concepts. 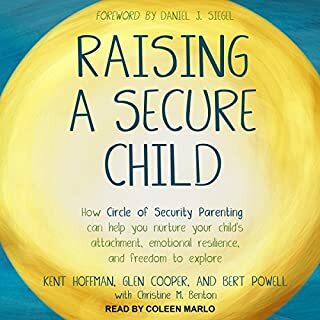 In this revised fifth edition, they have updated their groundbreaking approach, which has found favor with over six million parents in all 50 states and has been translated into 16 languages around the world. 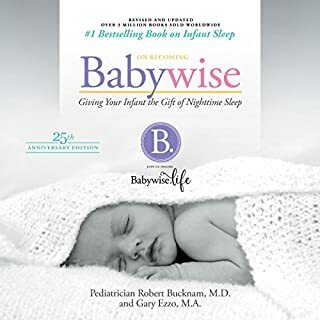 For over 20 years, On Becoming Babywise has been the de facto newborn parenting manual for naturally synchronizing your baby's feeding time, wake time, and nighttime sleep cycles, so the whole family can sleep through the night. In his 26th year as a licensed pediatrician, Dr. Robert Bucknam, MD, along with coauthor Gary Ezzo, demonstrates how order and stability are mutual allies of every newborn's metabolism and how parents can take advantage of these biological propensities. In particular, they note how an infant's body responds to the influences of parental routine or the lack thereof. 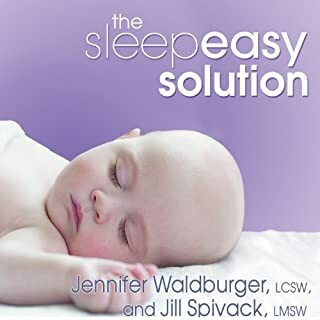 Early chapters start with explorations of everyday aspects of infant management, such as the three basic elements of daytime activities for newborns: feeding time, wake time, and naptime. On Becoming Babywise is more than an infant-management concept. It is a mind-set for successful parenthood. It can help any parent develop a plan that meets the needs of both a new baby and the entire family. These principles have worked for millions of parents and, when applied with common sense to your unique situation, can work wonderfully for you, too! Recommended by doctors across the country. The book starts off and you hear about a PDF plan, but it took nearly the entire book to understand what they heck she was talking about. How exactly is if different? It was hard to explain to a person that didn't read the book. I plan to listen to the book again to fully comprehend the PDF plan, mostly the first few chapters. Reading the book would be better, but that is hard to do while driving, so I will just listen another time. 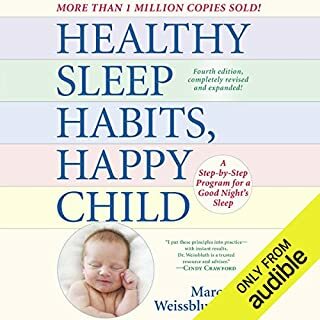 The book is based on setting up a specific order to a required daily routine, eat, wake time, and then sleep, repeated on the feeding schedule based on age. The concepts in this book are unproven by me, but seem to be how I approach life in general anyway, routine. With a baby coming due soon I am learning the ways, this will give a great perspective to keep in mind. I do know that a relative has been raising their baby going against the concepts in this book and they struggle daily with sleeping/routine. 1 - I may have missed it, but the PDF plan is not clearly described anywhere in the book, it is referenced, but not defined. It takes the entire book to figure out what she is talking about, but by then your brain is confused and you missed numerous parts of the book. 2 - There were numerous points made throughout the book with only a few having data to back them. 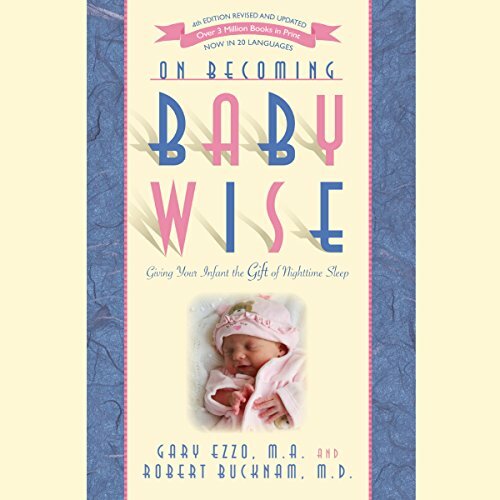 What was one of the most memorable moments of On Becoming Babywise? The way it changed our lives so quickly. The entire book was eye opening, seems like "common sense" and well-researched. 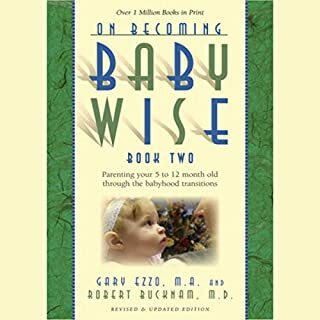 What did you learn from On Becoming Babywise that you would use in your daily life? 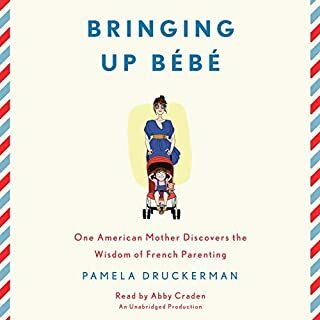 This book gave me so much more confidence as a new mother, and very specific instructions on how to implement these techniques when I was past the brink of exhaustion. This was the miracle we needed and I'm so blown away this isn't handed out as a manual to every parent. It changed our family life so quickly. It's improved the lives of myself, my husband and most especially our baby, who is so much more well-rested and contented - as long as she's on schedule:) There's a lot less "figuring out" and guess work, it's helped us really get to know her and her needs better. I could go on and on. I can't rave about this book enough. I highly recommend it (understatement). 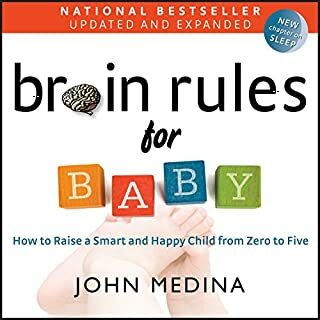 Very well written book about how to care for your baby. Also includes insight on twins. Re-caps at the end of each chapter helps. Highly recommend this book. Why am I pretending my baby is in an orphanage? I listened to this book a few weeks before returning to work. My baby didn't wake up too often at night, but he was not sleeping 'through the night.' I implemented the teachings for about a day and a half. It worked. He slept longer than he ever had slept before, a 6 1/2 hour stretch. However, it felt so unnatural and stressful to have a strict schedule and to always put him down for nap in his bassinet. Listening to him cry made me cry. I was confused. I thought to myself "Am I never supposed to hold my baby again?" I love snuggling with him. I decided I could not give that up and went back to what feels natural. After all, he is a baby, not a dog that I am trying to train. It is supposed to be a bit of a burden. He is happier. I am happier. Could I get an hour or so more of sleep if I had kept at it? Probably, but I was afraid that it was going to break the special bond that he and I share. Also, he wakes up so happy, so I have to figure he is getting enough sleep. I am so happy that I went with my gut as a mother. Great advice, and so reassuring it works! Love this book, and this method! looking forward to using this for our little one! AMAZING for 1st Time Moms! This is a great book! I'm an expecting 1st time mom and also a college student studying human development that works in a research lab studying interactions between parents and children. 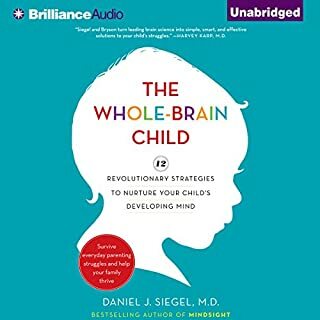 This book has been SO informative and completely in tune with the current research on what approaches are most effective with babies. Additionally the narrator's voice is very soothing and enjoyable to listen to. I cant wait to start implementing the strategies I learned in this book on my soon to be born baby girl. After reading I feel so much more prepared! Would definitely reccommend for any 1st time mom! This book provides a simple, logical plan & confidence for first time parents. Wish I had it for the first few weeks, but better late than never. This book makes so much sense, balanced and thoughtful principles. Have several friends that had success after listening to this book.